Some U.S. goods that Ottawa plans to hit with retaliatory tariffs may not be easily replaced by imports from other countries. That leaves everyday Canadians to foot the bill for the federal government’s skirmish with its neighbour. 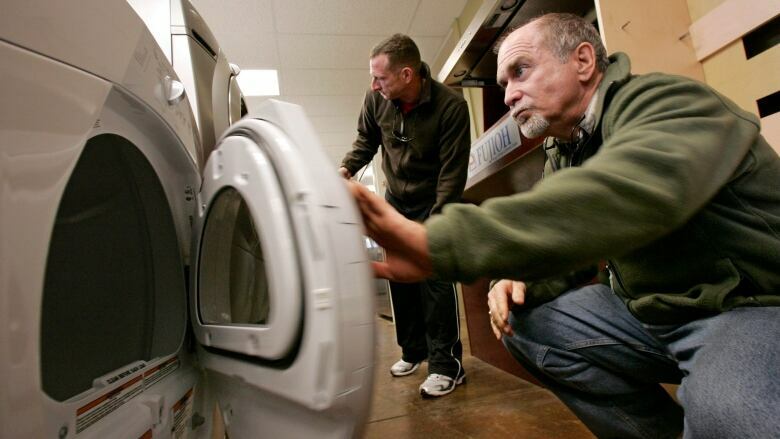 What do lawn mowers, boats and washing machines have in common? They may all get more expensive in the coming months as Canada imposes retaliatory tariffs on select U.S. goods. That's because some products the federal government plans to target may not be easily replaced by imports from other countries — leaving everyday Canadians to foot the bill for the country's battle with its largest trading partner. "Those tariffs will directly affect the consumers," said Robert Coffey, owner of Dufresne Furniture in Thunder Bay, Ont. He says some of his store's U.S.-built appliances could face a price hike of up to 10 per cent to make up for the looming Canadian tariffs. "That is the fact of a trade war. There's collateral damage on both sides." After U.S. President Donald Trump imposed tariffs on Canadian steel and aluminum on June 1, the federal government fired back with retaliatory tariffs on goods imported from the U.S., set to take effect July 1. Canada's list includes not only a 25 per cent tariff on steel and aluminum products, but also a 10 per cent surtax on an eclectic mix of more than 120 consumer goods, including dishwashers, fridges, washing machines, pens, beer kegs and even toilet paper. The goods add up to $16.6 billion worth of U.S. imports. The list is not final, and Ottawa invited the public to comment on it earlier this month. Foreign Affairs Minister Chrystia Freeland announced on May 31 that the U.S. consumer goods were chosen because alternative products could "be easily sourced from Canadian companies or non-U.S. trade partners." That may be true for many items on the list, such as maple syrup or ketchup, but the Retail Council of Canada warns that some targeted items will be hard to replace. And that means Canadians will simply have to pay more. "There are certain types of goods where the argument of substitutability doesn't hold true, or at least is exceedingly difficult," said Karl Littler, the council's vice-president of public affairs. He says even if dealers manage to somehow quickly switch suppliers and source appliances from countries such as China, they will still get hit with an added cost. "If you're getting it from Asia, many of those goods are themselves subject to tariffs, because we don't have a free trade arrangement," Littler said. "So it's out of the frying pan, into the fire." At Dave's Appliance in Saint John, at least 80 per cent of the appliances come from the U.S. The store's bookkeeper, Andrew Wilson, said the coming tariffs will likely translate into higher prices for customers. "I see what they're trying to do," Wilson said of the federal government's retaliation. "I just don't know how effective it will be. It's just something that's going to funnel down and it's going to hit everybody." Coffee is another item on the hit list where Canadians may wind up paying the price. Although there are non-U.S. alternatives, Littler says not everyone will be willing to break with tradition. "If you are insistent that you want the Verona blend from Starbucks and you will not accept a substitute, then all that's going to happen is you're going to end up paying more," he said. The boating industry is also warning of higher prices. The National Marine Manufacturers Association says 65 per cent of boats sold in Canada last year came from the U.S., and there aren't enough domestic manufacturers to supply the Canadian market. 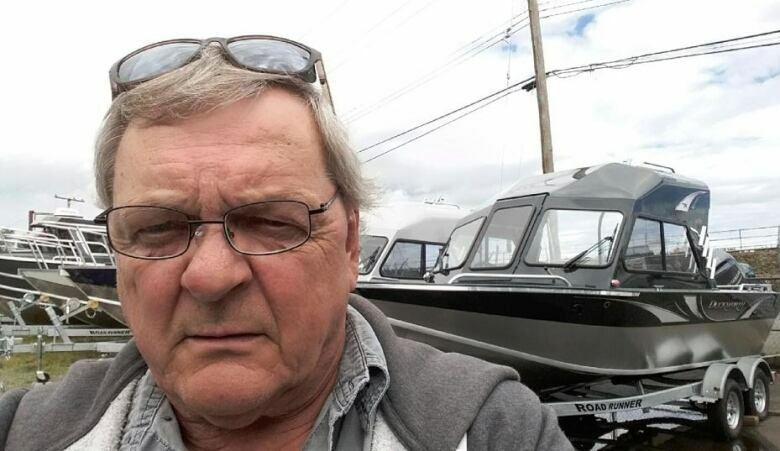 "We're wondering how we're going to defend against this," said Terry Mertz, an accountant at Parker Marine, a boat dealer based in Courtenay, B.C. He says almost all the boats his company sells come from south of the border, and that the coming tariffs will result in higher retail prices that could scare away customers. "We can't really estimate how bad it's going to be," Mertz said. "I just turned 65 but I'd still like to work for a few more years, and I hope our business survives this." The federal government declined to comment on concerns over some targeted U.S. goods. Global Affairs Canada said it's revising the list based on consultations, and will provide an update soon. Some retailers hope the government will announce a shorter list, but appliance dealer Robert Coffey in Thunder Bay says he's ready to take the hit — to show the U.S. that Canada won't stand for tariffs on its steel and aluminum. "Politically, I think it's a necessary evil," he said. "We have to do it."